Plenty of fine dining awaits your taste buds all over the city of Yokohama, ranging from traditional Japanese restaurants to eateries with a more international theme. The majority of restaurants in Yokohama are particularly tourist friendly and feature set courses, with menus usually being fairly easy to understand and including plenty of photographs and at times, descriptions in English and even English-speaking staff. 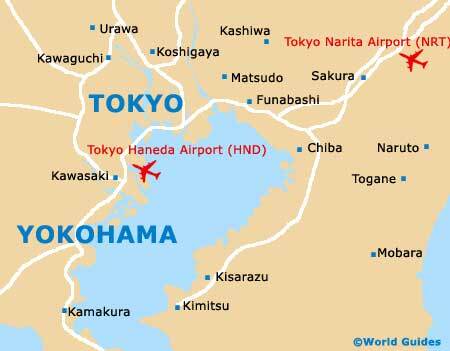 Apart from traditional Japanese restaurants where you will be expected to eat with a chopstick, other dining options in Yokohama specialise in cuisine from China, Thailand, many parts of Europe and even America. No visit to Yokohama is really complete without a slap-up meal at one of the 150+ restaurants in Chinatown, most of which provide extremely tasty and inexpensive dishes. Dim sum is always a good choice in these eateries and allows you to sample small portions of many of the most popular dishes. 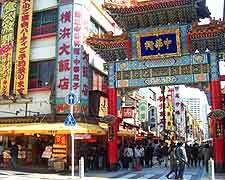 Particularly popular in Yokohama's Chinatown is the group of Chinese restaurants located on the second, third and fourth floors of the Yokohama Daisekai building on Minami-mon, with regional dishes being served in pleasant surroundings. Also worth searching out in Chinatown is the Cantonese dining at Manchinro Honten on Yamashitacho, which is one of the oldest restaurants in the whole of Yokohama, and the further eateries around Yamashita-cho. A rather diverse mixture of cuisines await at the excellent restaurant floors of both Queen's Square and also the Landmark Tower, where underground parking is available. Further dining choices in Yokohama are to be found around additional shopping centres, on the outskirts of the Chinatown districts, in the Minato Mira area and close to the Motomachi-Chukagai Station and other busy parts of the city. You will even find British-style pubs in some regions of Yokohama, including the Rockwells pub on Minami Saiwai-cho.